While we were in the San Francisco Bay Area for MakerCon and Maker Faire, we decided to spend our evenings visiting as many local Maker/Hackerspaces as we could. I personally found it really interesting to see all the activity going on in the area, and each space had it's own character and mission that reflected its members and their approaches to making. It's a big wide world out there. Techshop is a bit different than other maker spaces. It's a for-profit organization, kind of like a fitness gym but with waterjet cutters, welding equipment, and big ol' lasers. 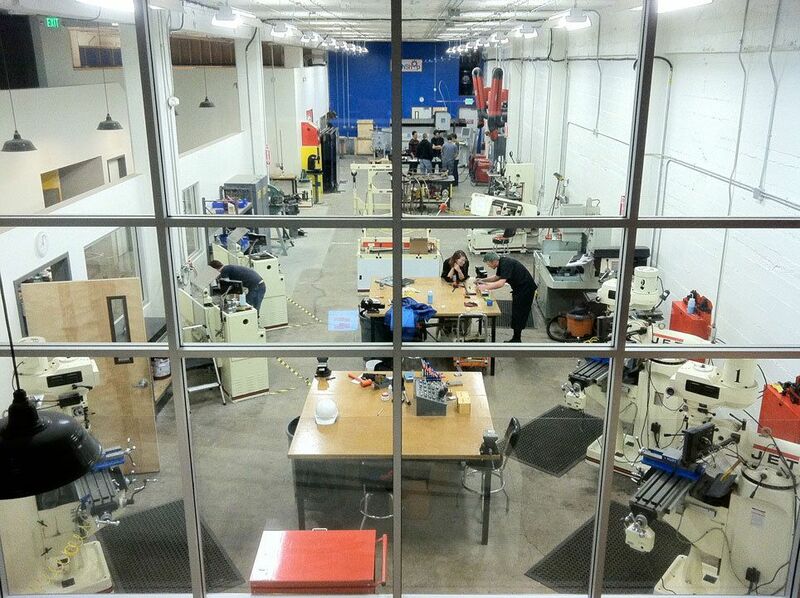 We visited the San Francisco location and set up a Shapeoko on one of the big worktables upstairs. My first impression was that this space is huge, clean, and well-organized. There were maybe 60 people throughout the building elbow-deep into various projects. I wish we had gotten more time to take the full tour because their machine shop downstairs looked amazing. People crowded around and chatted about making while we walked them through making their own custom bottle openers with Easel & Shapeoko. For whatever reason, the "mushroom" icon was really popular everywhere we went in SF. This awesome mechanical contraption was sitting in their front lobby. I couldn't resist.